The chic clothing of Abdullah, alike showbiz celebrities, and his high expenditure, always were the hot discussion topics of people and social network websites, and one of the reasons for the people to hate him. However, few people may know that he, similar to Arab sheikh and Hollywood billionaires, is a costumer of the most expensive boutiques in the world. Recently, Etilaat Roz Newspaper has given a reliable report on the topic, revealing the engraving of Abdullah’s name with gold-pated ink in world most expensive boutique as its regular costumer. This has been also acknowledged by Spanish site, notiver.com.mx, and Tajikistani’s Community in Canada. The public execution of Zarmina by Taliban shocked the world and became an excuse for more than forty countries to invade Afghanistan under the guise of “Liberation of Afghan Women”. However during the last 15 years, every moment Afghan women are lynched in the “Democratic” and “Human Rights” rule of US/Nato minions, but world doesn’t care! The agony of Shakila, Tabasum, Farkhunda, Rukhshana and thousands of other Afghan women don’t make it to international news headlines. Mr Ubaid Ahmad Kabir, spokesman of Hambastagi (Solidarity Party of Afghanistan), was in Italy from October 22th to November 4th , 2015, on his mission to meet European politicians. He had been invited by CISDA ngo (Italian Cooperation supporting Afghan women). In Italy, Mr Ubaid Ahmad Kabir met the Italian senator Mister Cociancich from the “Partito Democratico” (Democratic party), Mr Ezio Locatelli, former Italian deputy and member of “Rifondazione Comunista” (Communist Refoundation Party), the Italian deputies Mr Scotto and Nichi Vendola from “Sinistra Ecologia e Libertà” (Left, Ecology and Freedom) . On 9th August 2010, the Time Magazine published an Afghan girl’s photo with the caption “If we leave Afghanistan, this is what will happen”. This Afghan girl, Aisha, had her ears and nose mutilated by the savage Taliban for the crime of love and running away from home. This cover was published in order to persuade American people to support the permanent presence of US troops in Afghanistan. 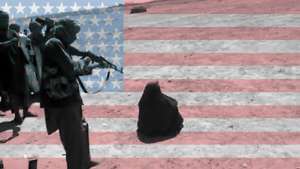 This misuse of Afghan women’s miseries has turned into a normal routine for US officials and the Western media. KABUL, Afghanistan (AP) — Dozens of Afghans have rallied to denounce last week's court ruling that overturned the death sentences for four men convicted for taking part in the mob killing of a woman outside a Kabul shrine in March. For many days the only news we hear from every corner of Afghanistan is that of increased fighting and insecurity, and how the Taliban and ISIL terrorists are advancing with every passing day. 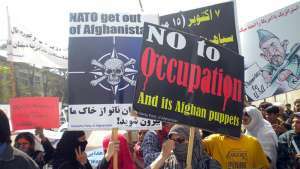 The people of Afghanistan have become fed up with this wave of instability and bloodshed. I was listening to the news on Afghanistan today (June 3, 2015) and each and every report described the disastrous situation in Afghanistan, and that it is sinking deeper in the quagmire of corruption, injustice, and war. While the corrupt heads of government are still fighting over the official posts, the current news shows that the national ‘terror’ government is dragging Afghanistan to another deadlock. However, this was foreseeable. The recent publication of documents by Senator Dianne Feinstein detailing the torture techniques and abuse of prisoners by the CIA, has once again exposed the nasty and criminal nature of the bloodthirsty US government. A brief overview of the documents shows that CIA officers are savage sadists whose lust for inflicting suffering is satisfied by tying up, beating, and killing others. 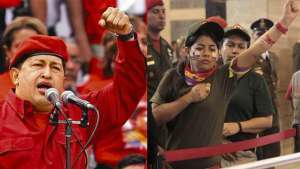 Any person who knows the bloody history of US invasions and interventions knows well that the US-installed military dictators and stooges in every corner of the world use inhumane torture methods as a weapon to intimidate their people and suppress uprisings. What interested me in this regard was a book called ‘Thou Shalt Not Kill’ by German journalist and politician Juergen Todenhoefer which is a memoir of his trip to Afghanistan and to Bagram prison in particular. Such rare books that expose the policies of imperialist countries are usually buried in the heap of pro-US books and forgotten. Afghanistan Electronic ID card: A National or American Project? A few months back, rumors of electronic ID card covered everywhere. The Afghan Government, especially Ministry of Communication and Information Technology (MC&IT) called it “a big achievement”; members of parliament and senate attacked each other on the face to mention or not to mention the ethnic information on the ID cards; but the point that no one paid attention to, is the hidden aspects of this “big success”: who uses the information of Afghan citizens which come through the ID cards? Apparently, the electronic ID card project, which works via Electronic ID Card Distribution Authority, was started in 2008 by MC&IT & later on Ministry of Interior Affairs (MoIA) also joined the project. To display it as national project, at start it was announced that its budget will be funded from Afghan Government Development Budget. Later, MoIA wrote on its website that International Community will provide USD115 million, covering 95% of the project’s budget. Mr. Ambassador, do not mistake our party and people for your traitor servants! 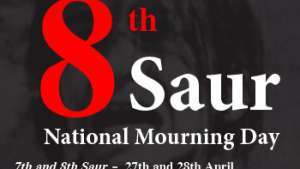 27th and 28th April, a shameful event in our history! Reaching to peace, democracy and justice, without getting independence, is not more than a dream!